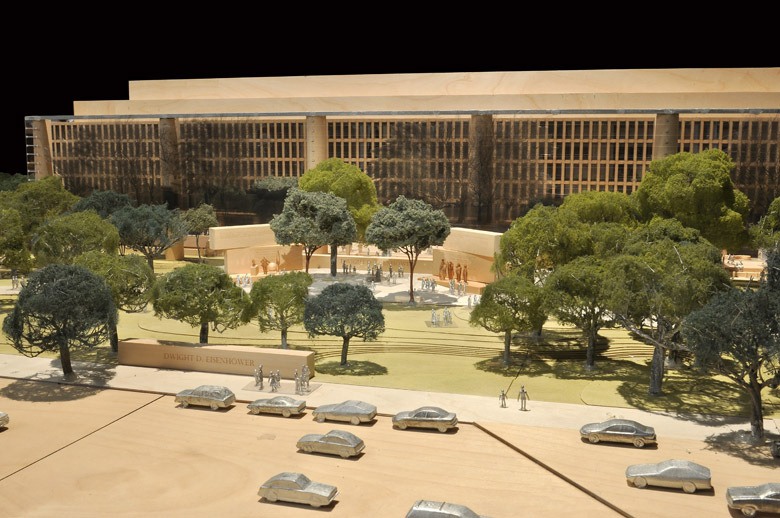 Among the many concerns being raised about Frank Gehry’s proposal for the Eisenhower Memorial is its price tag, currently estimated at $142 million. That’s not the most costly memorial ever built in Washington, D.C., but it may be the most expensive memorial per acre. The proposed memorial would be 4 acres in size, so that’s approximately $35.5 million per acre. Here’s a quick rundown of what it cost to build some of Washington’s most famous memorials. Cost per acre is only computed for memorials that are landscapes. Martin Luther King Jr. Memorial (2011): $120 million; approximate cost in 2012 dollars: $122.6 million; area: 4 acres; 2012 cost per acre: $30.65 million. National World War II Memorial (2004): $182 million; approximate cost in 2012 dollars: $221.4 million; area: 7.4 acres; 2012 cost per acre: $29.9 million. Korean War Veterans Memorial (1995): $16.5 million; approximate cost in 2012 dollars: $24.9 million; area: 2.2 acres; 2012 cost per acre: $11.3 million. Franklin Delano Roosevelt National Memorial (1997): $52 million; approximate cost in 2012 dollars: $74.5 million; area: 7.5 acres; 2012 cost per acre: $9.9 million. Vietnam Veterans Memorial (1982): $8.4 Million; approximate cost in 2012 dollars: $19.5 million; area: 3 acres; 2012 cost per acre: $6.5 million. Thomas Jefferson Memorial (1943): $3 million; approximate cost in 2012 dollars: $39.9 million. Lincoln Memorial (1922): $2,957,000; approximate cost in 2012 dollars: $40.5 million. Washington Monument (1884): $1,187,710; approximate cost in 2012 dollars: $28.4 million. *Cost in 2012 dollars for all memorials constructed after 1913 is estimated using a Consumer Price Index Inflation Calculator hosted by the Bureau of Labor Statistics and the date of completion. Cost of the Washington Monument in 2012 dollars is estimated using The Inflation Calculator. These numbers are not an estimate of what it would actually cost to build the memorials today. Great post. I appreciate for sharing such information. National World War II Memorial is pretty expensive.